If you take another look at the table, you will also find the Legacy Vacation Club in Orlando from $65 per night, a Jamaica vacation package at Iberostar Rose Hall from $1,309 per person and business class flights to Africa and the Middle East from $1,659 r/t. Hurry, the best ones will sell out first! 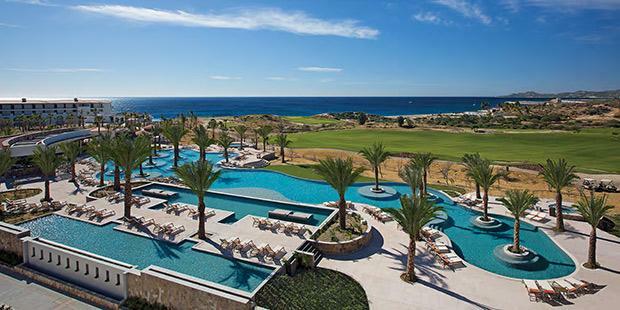 If you choose the Los Cabos vacation from the top, you will get 3 nights at the Secrets Puerto Los Cabos Golf and Spa Resort with all inclusive services, round trip flight from Dallas to Los Cabos plus taxes. Secrets Puerto Los Cabos Resort has well appointed junior suites and suites and various dining options, bars and activities to keep you entertained and well fed throughout your stay. If you want to see just a few more similar all inclusive Los Cabos getaways to compare them, choose your favorite travel sites from the box and do a quick research.